Bees are in danger of disappearing from our environment. 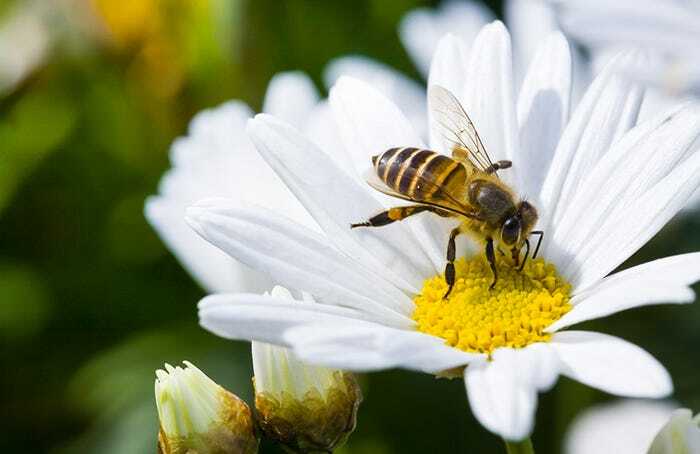 Heavy use of toxic sprays on flowers, intensive agriculture and a reduction in the number of insect pollinated crops has brought about a huge drop in bee populations. So what can we do to help? Not only do they look lovely and smell amazing, they are very helpful to bees. Flowers and flowering herbs provide both a home and pollen. 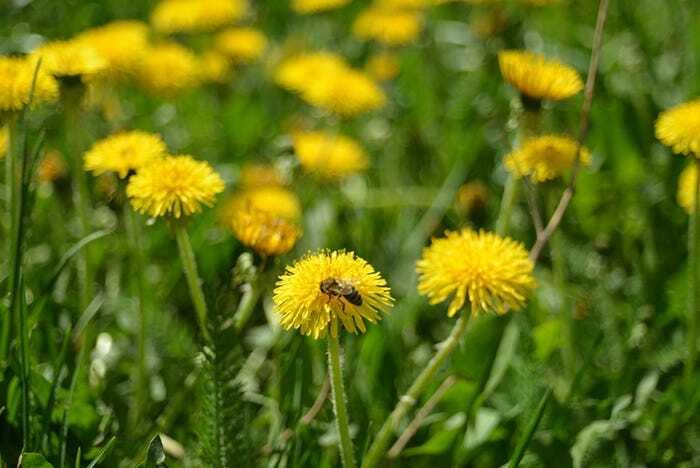 A lawn full of clover and dandelions is a haven for honeybees so don’t worry about letting your lawn live a little! 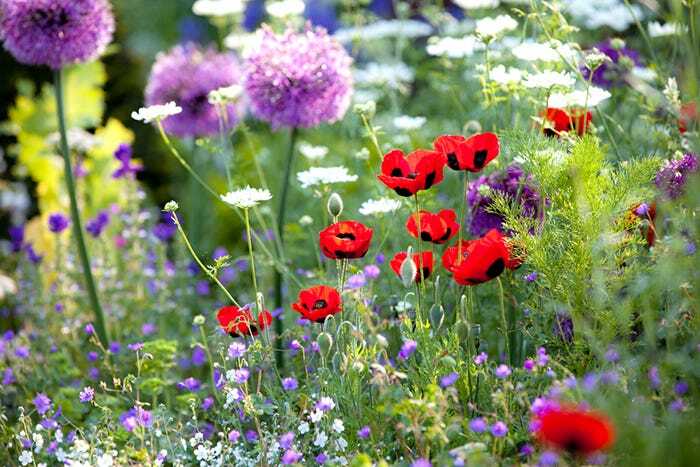 Leave a small area of your garden to grow wild to provide bee nesting sites. 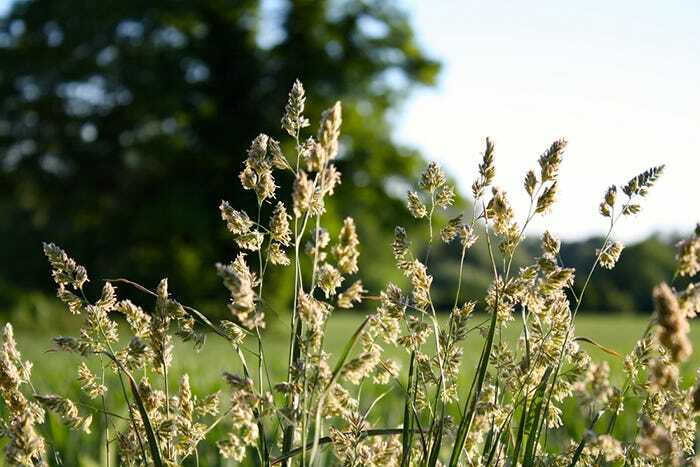 Carder bumblebees will make their nest in long grass. Pesticides can be harmful to bees. 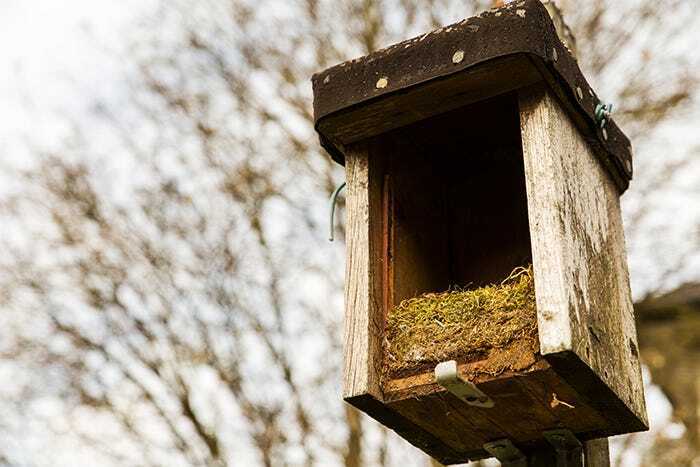 Try natural methods of pest control such as putting up bird boxes and blasting aphids with water. You can give bees a safe place to build nests and lay eggs by making a simple bee hotel and hanging it in your garden. 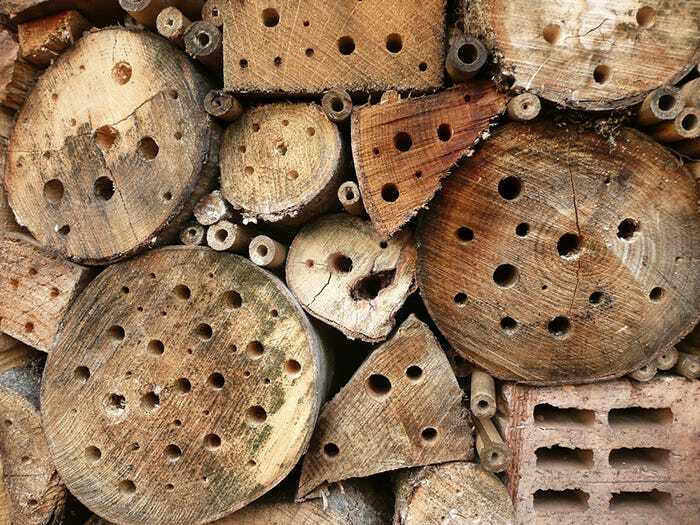 One of the most simple bee hotels you can make is out of a log.